Cold roll-beating forming is an incremental cumulative plastic forming technology that uses rolling wheels to impact and roll a metal target at room temperature. The process parameters of cold roll-beating forming influence the forming process and its accuracy. In this paper, these influences are studied for the case of cold roll-beating forming an external tooth groove. First, the process and characteristics of cold roll-beating forming are analyzed to determine the key process parameters for forming external tooth grooves. Next, forming experiments and finite element simulations are carried out for roll-beating AISI 1045 (DIN C45). The forces, material deformation, and formed surface characteristics are analyzed for the process of cold roll-beating forming of an external tooth groove. Finally, the effects of the roll-beating method, spindle speed, and roll-beating density on the forces, forming defect, angle of the groove profile, and surface roughness are discussed. 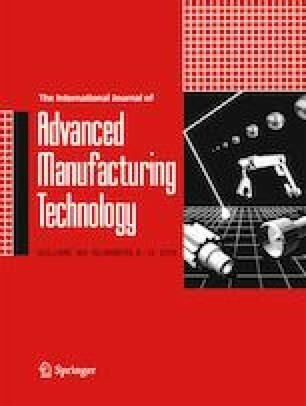 This study will serve as a reference for reducing forming force, restraining adverse deformation, and controlling forming quality by optimizing process parameters. The authors are grateful to National Natural Science Foundation of China (Grant No. 51475366, 51475146), Natural Science Basic Research Plan in Shaanxi Province of China (Grant No. 2016JM5074), and Ph.D. Innovation fund projects of Xi’an University of Technology (Grant No. 310-252071601).